What do you mean, Front End Security? The information on this site is available for history purposes, but is no longer maintained. Start blog What do you mean, Front End Security? 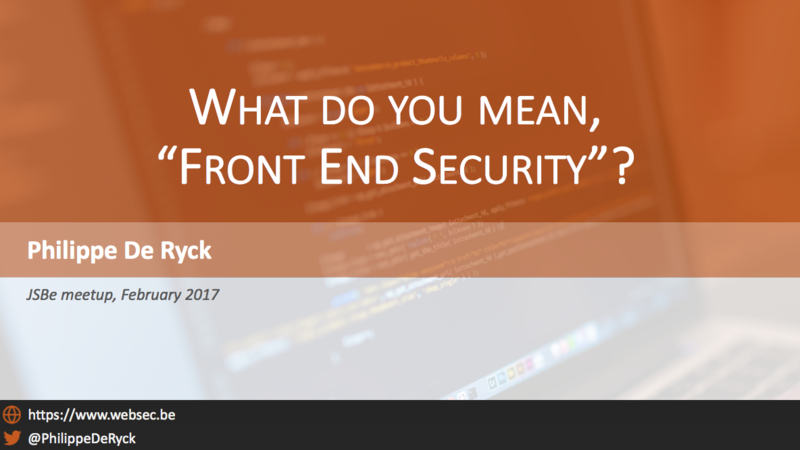 The slides from my talk about front end security at the JSBe meetup. It gives an overview of what client-side security is about these days.